PartingOut.com is an online classified marketplace for used car parts, a virtual online salvage yard. Parting Out is an marketplace for used, salvage auto parts. Parting Out is a great place get inexpensive salvage auto parts. Salvage recycled auto parts are a great alternative to new, refurbished, and rebuilt car and truck parts. Salvaged automotive parts, trim and accessories are a great value at discount prices. You can buy used car parts on Parting Out. Recycled car parts are great for the environment and a great value for you and your car or truck. 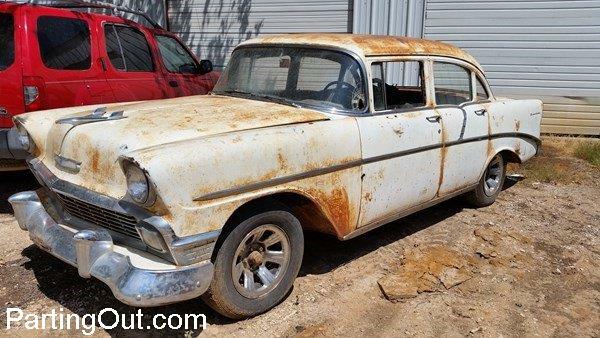 Sell used car parts on Parting Out: Get cash for your salvage junk car! It’s free to post classified ads on Parting Out – you can post classified ad to sell engines, motors, transmissions and other used car parts. Part out a car on Parting Out! Parting Out car parts is a great source for hard-to-find, vintage, antique, and classic collector car parts.